1. 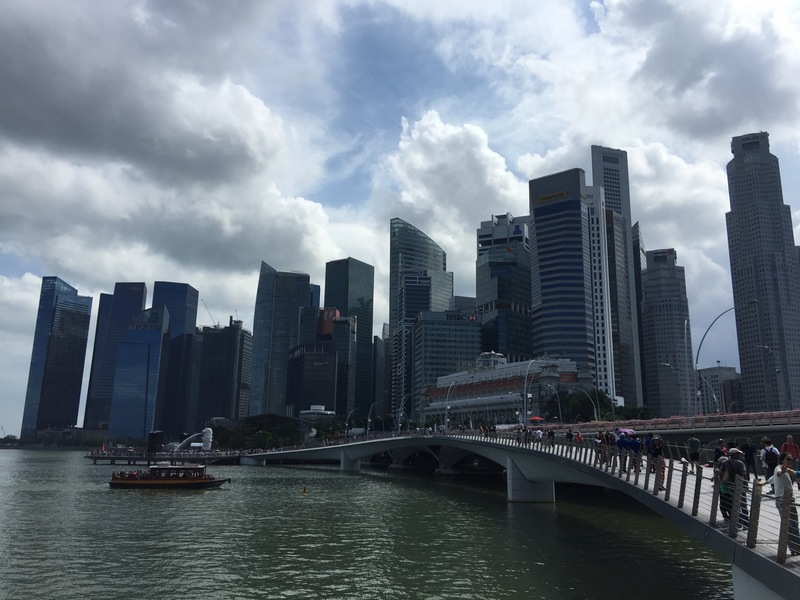 Marina Bay- the Marina Bay area is vast, from the famous Merlion Park to the other side of the marina by the Marina Bay Sands. 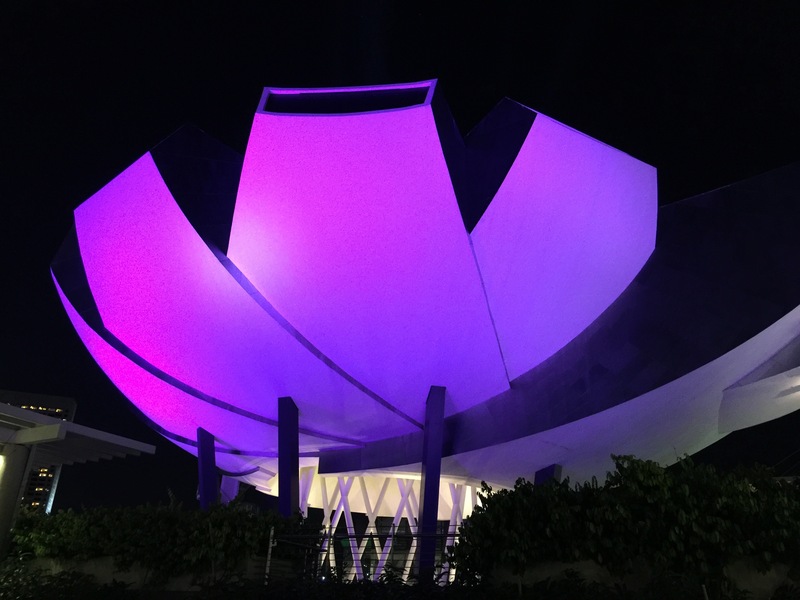 Its is worth a visit during the day, sunset and evening for the different lighting and atmosphere – plus there is a free light show twice nightly at 8pm and 9:30pm at The Marina Bay Sands by the water. 2. Supertrees- the Supertrees are vast man made structures covered it plants in the Gardens by the Bay. Again worth visiting at both day and night. They too have their own free light shows at 7:45pm and 8:45pm. You can also visit the restaurant/bar at the top of the tallest Supertree and walk the Sky Bridge between the trees. It does cost 12 Singapore dollars per person however. 3. Music on the Esplanade- every Friday, Saturday and Sunday there is a free music concert on the esplanade in the Marina Bay Area. As a bonus it also had a decent free wifi too, check local listings for which local artists are playing and times. 4. 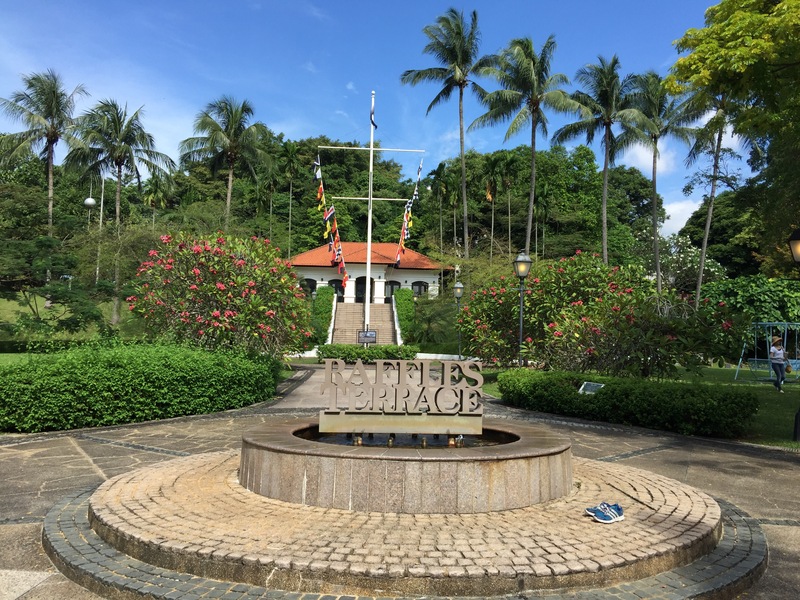 Fort Canning- the British command post was the headquarters of the Singapore Base District until the spread of World War II when the Japanese invaded and then used it, it was subsequently taken back by the British at the end of the war and eventually turned into a park in 1981. The unique blend of historical artefacts, greenery and lawns has made Fort Canning a hub of cultural activity often playing host to concerts. It is worth a trek up the hill and an explore of the gardens and park, especially to see the battle box and for some interesting views across the city. 5. Marina Bay Sands- is the impressive hotel (the one with the boat on top) that towers over the Marina. You can go to a viewing deck for around 20 Singapore dollars each or better still you can pay 20 dollars per person for a voucher and redeem this against drinks at the bar a the top! The Ce lav vie bar at the top of Tower 3 has views to the Marina and to the Gardens/Supertrees the other side too (as well as the infinity pool the hotel guests get to enjoy). 6. Gluten Bay street food- along the esplanade is a street food area with a selection of local cuisine. Relatively cheap, especially compared to the restaurants – and very tasty. 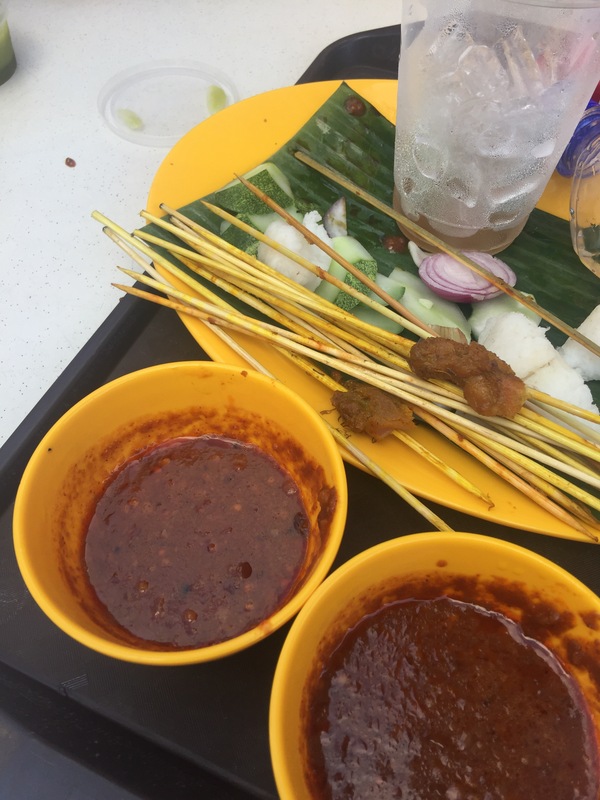 From crab to satay and fried banana tempura you can eat out for as little as S$10 per person. 7. 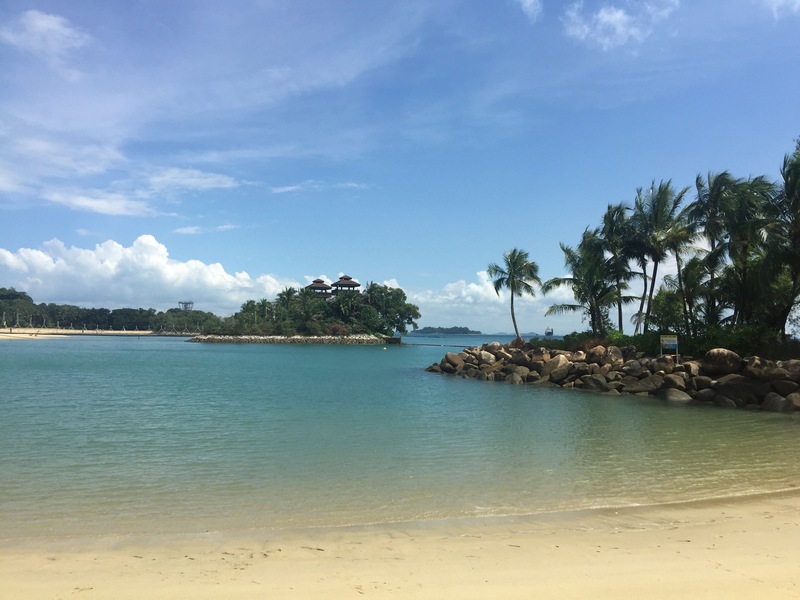 Beaches on Sentosa- if you want a lounging beach day then head to Sentosa for some beach action. You can walk to the island for free or pay 4 dollars for a all day Sentosa rail pass. 8. Architecture- a wander around the city will throw up many architectural highlights from the colonial museums to the parliament and Supreme Court, not to mention the many impressive skyscraper hotels and banks. 9.National Orchid Garden in the botanical gardens, is a cheap and pleasant way to spend a few hours. 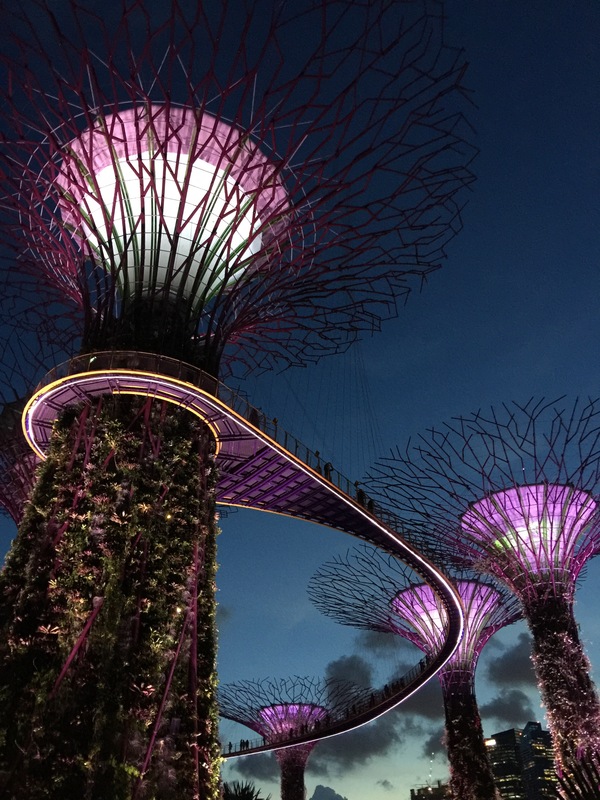 A vast arrange of types and colours as well as sculptures the orchids and gardens is a must for most visiting Singapore. Splendid sights to see even in a rainy day, though bare in mind it is quite a walk from the Metro. 10. Gardens by the Bay- as well as the Supertrees, the gardens hold many surprises and delights and it’s free to wonder through the park and around the lakes. You can also pay to visit the 2 domes (the Cloud Forest and Flower) for S$28 dollars to experience the rainforest. Note that the domes close for maintenance one day a week, so check in advance, tickets are reduced to S$14 on days when a dome is closed – if you’re on a super tight budget then pick a day when only the Cloud Forrest is open!